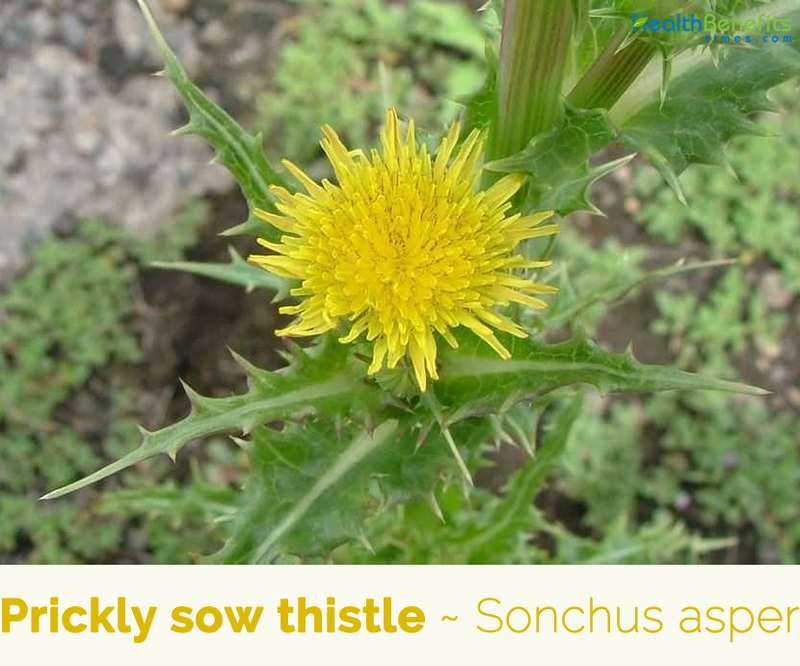 Prickly sow thistle scientifically known as Sonchus asper is a dicotyledonous perennial or annual herb in the Asteraceae ⁄ Compositae (Aster family). The plant is native to Africa (i.e. Algeria, Egypt, Libya, Morocco, Tunisia, Ethiopia, Sudan, Kenya, Tanzania, Uganda, Cameroon, Rwanda, Zaire, Senegal, Angola, Malawi, Mozambique, Zambia, Zimbabwe and Botswana), Madagascar, Europe, western and central Asia (i.e. Afghanistan, Iran, Iraq, Jordan, Lebanon, Syria, Armenia, Azerbaijan, Georgia, Kazakhstan, Kyrgyzstan, Tajikistan, Turkmenistan, Uzbekistan and Russia), China and the Indian Sub-continent (i.e. India, Nepal and Pakistan). It is considered a weed in agricultural systems mostly due to its role in harboring diseases and pests. It produces large numbers of seeds that are dispersed by wind. 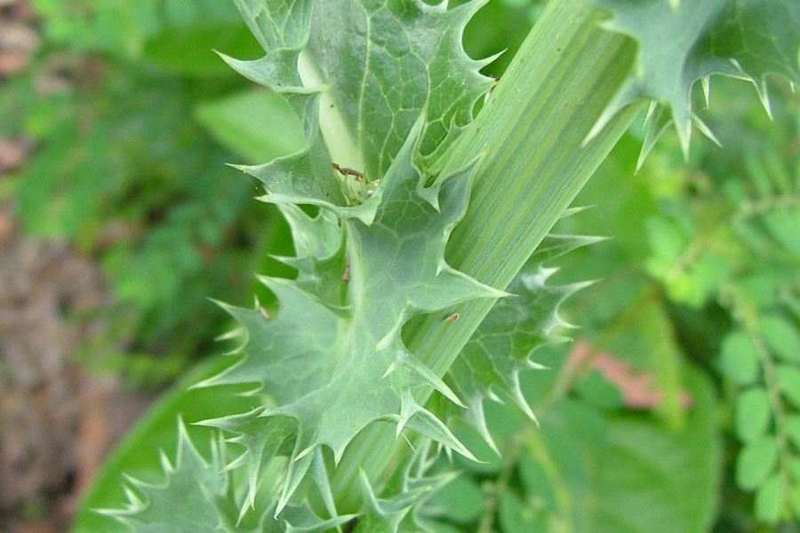 Few of the popular common names of the plant are blue sow-thistle, prickly sow thistle, prickly sow-thistle, prickly sow thistle, rough sow thistle, rough sow-thistle, rough sow thistle, sow thistle, spiny sow thistle, spiny sow thistle, spiny-leaf sow thistle, spiny leaf sow thistle, spiny-leaved sow thistle, Native Sow-Thistle, sharp-fringed sow thistle and spiny milk thistle. 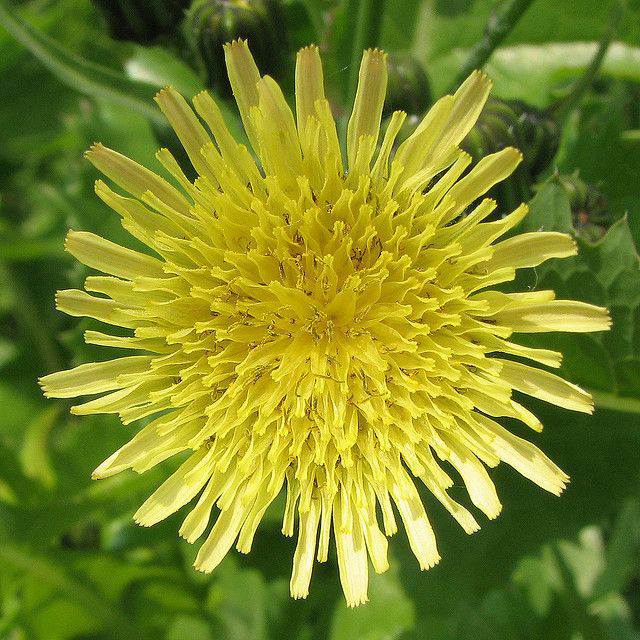 The genus Sonchus, is the old Greek name for ‘hollow’ and was applied due to the hollow stem of the Sow Thistle and the species asper, means ‘rough’ – as in the spiny edges. The author name for the plant classification is as follows: The first to classify was ‘(L.)’ which refers to Carl Linnaeus (1707-1778), Swedish botanist and the developer of the binomial nomenclature of modern taxonomy. His work was modified by ‘Hill’ which is for John Hill (c1716-1775), English botanist, author of 76 works including the 26 volume The Vegetable System. The origin of the name ‘Sow Thistle’ is ancient but obscure. 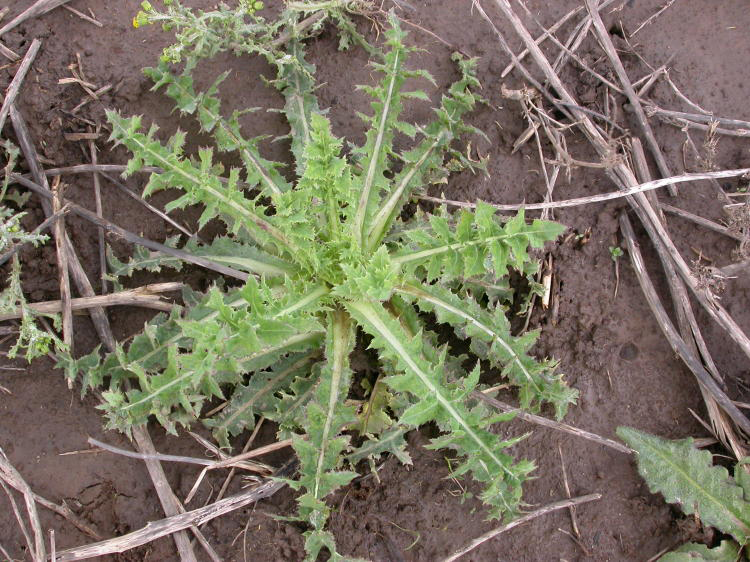 Sonchus asper is a major problem in winter crops and in tillage systems throughout southern Australia, South-East Queensland and Northern New South Wales. Its edible leaves make a palatable and nutritious leaf vegetable. 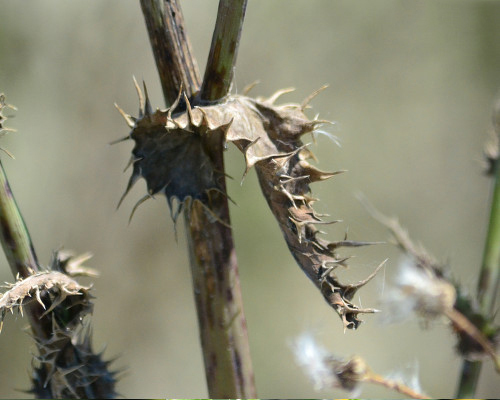 Prickly sow thistle is an erect, creeping rooted annual plant, occasionally becoming biennial that grows about 1 to 5 feet tall. The plant is fond growing in roadsides, cultivated fields, wastelands, gardens, gravel pits, mines and logged areas, mountain slopes, forest, field margins, ruderal areas, grasslands, along lakeshores and streams, and on muddy sites, pastures, hay fields, dunes, riparian areas, orchards, and wetlands, irregularly mowed lawns, edges of yards, driveways, areas along roads and railroads, vacant lots, barnyards, yards, soil heaps, arable land, around inhabited areas and harbors. The plant grows on a variety of soil types including white to grey sand, brown clayey loam, black sandy loam and black clayey peat. It also prefers well drained, slightly acid to alkaline soils, but are tolerant of saline soils. The plant has tap root and stem is erect, smooth, thick, herbaceous, fistulose, purplish, glabrous and glaucous. It appears single or multiple from base, branching, hollow between stem joints (nodes), and secretes a milky sap when cut. Leaves are hairless somewhat bluish green. Upper leaves are smaller than the lower leaves, stalk less, and clasp the stems with claw like basal lobes. Upper leaves are up to 6 inches long with a rounded, widely lobed (auriculate) base semi-clasping the stem. Lower leaves are up to 10 inches long and 3½ inches wide, more spatula shaped with deeper lobes. 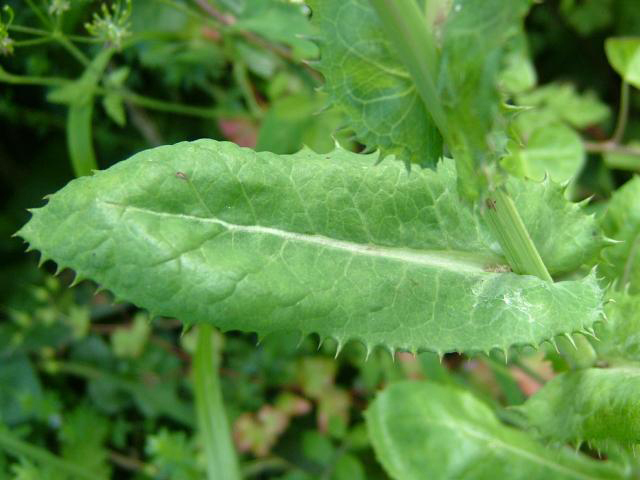 All leaves are coarsely toothed with soft spines and are shiny waxy green on the upper surface. 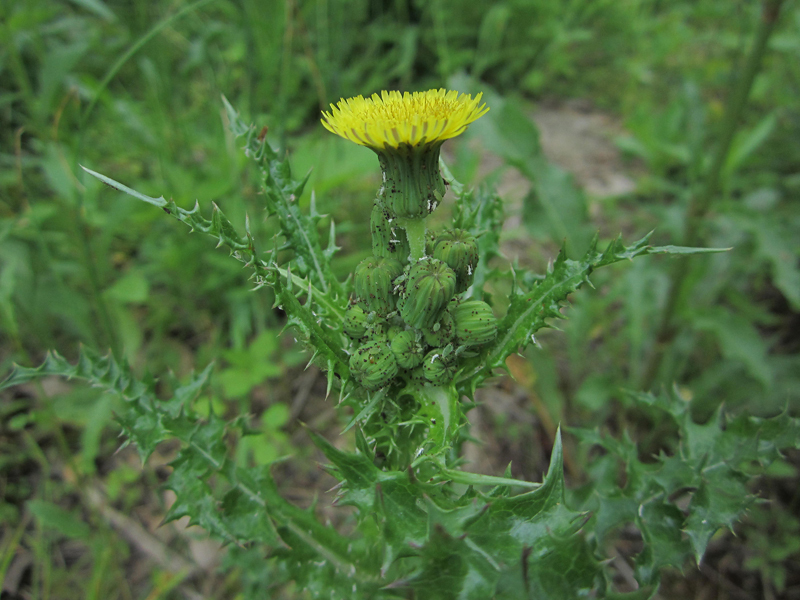 Many small, loose open clusters (corymbiform) of yellow dandelion type flower heads, each up to 1 inch across when fully open appears at the top of the stem and arising from leaf axils. The flower head, consisting of bracts, receptacle and ray flowers (petals), is thick, barrel to vase shaped, usually with tiny glandular hairs on the stalk just below the cluster. Bracts are in 3 or 4 layers, those in the outer layer shorter and broader at the base, sometimes with sparse glandular hairs, those in the inner-most layer long and narrow. Several small attending leaves are typically at the base of cluster. Flowering normally takes place from June to August. Fertile flowers are followed by brown, wrinkled achenes 2.5-4 mm long and 1.5 mm wide. Achenes have 3 (or rarely 4-5) longitudinal ribs on each face. 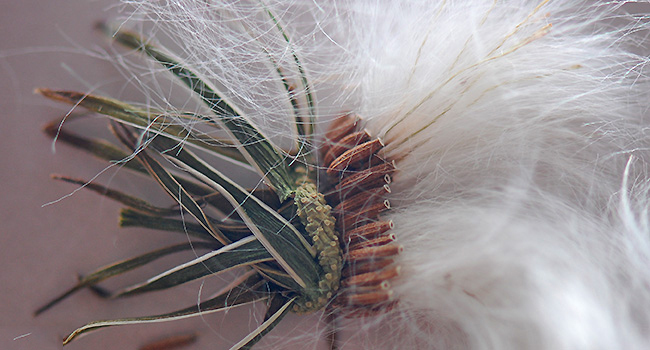 Mature seeds are brown colored and have a white feathery pappus (8 mm long) that jointly form a white puff ball, similar to dandelion. The edibility of Sonchus species is probably known since antiquity, being already declared by Dioscorides in the first century, who recognized two kinds of sónkhos, one more rough and prickly, the other more tender and edible, probably Sonchus asper and S. oleraceus, respectively. Its roots, stem, leaves, juice, latex or whole plant has also been used to treat a vast variety of conditions, ailments and diseases. Plant is pounded and applied as a poultice to wounds and boils. Latex in the plant has been used as a treatment on warts. It is used in various human disorder including wounds, burns, cough, bronchitis, asthma, gastrointestinal infection, inflammation, diabetes and cardiac dysfunction, kidney and liver disorders, reproductive disorder like impotence (erectile dysfunction) in humans, jaundice and cancer. Leaves and roots of the plant are used in indigestion and as a febrifuge. Roots of the plants act as a vermifuge and the stems are recommended as a sedative and tonic. Leaf infusion was used to cause urination and open obstructions. Plant extract is applied to fresh injuries. Latex has also been used to treat warts. Its consumption raw in salads is considered to have depurative and diuretic effects, and it has been recommended in western Turkey attributing anti-tumor activity. Other medicinal uses recorded in the Italian folk medicine include its use to treat high blood pressure, sore throat, wounds, sores and boils (or furuncles), and scorpion or insect bites. Tender young leaves and stem tops are consumed raw or cooked. They can be added to salads or used like spinach. Young leaves have a mild agreeable flavor. Stems should be bruised and the bitter-tasting milky juice washed out before eating or cooking them. Stems have been peeled and eaten raw like celery. It was occasionally used in soups; the smoothest variety is said to be excellent boiled like spinach. Asian counterparts use its tops and leaves after steaming which make a palatable and nutritious leaf vegetable. They are consumed raw in salads and also cooked for preparing soups, omelets, fried with onion and eggs, or used as pastry stuffing. 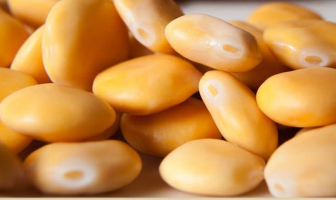 It is sometimes boiled mixed with other herbs, as in some traditional recipes such as the Moroccan beqoul, the Italian pistic, and the pastissets de brosses, traditional vegetable pies from eastern Spain made with several Sonchus species. The entire plant contains sticky white latex. The average number of seeds per flower head is 200, and a plant often has over 100 flower heads. Seed numbers per plant range from 21,500 to 25,000 but a large plant may produce 60,000. This species has also been used as fodder for pigs, cows, sheep, goats, and rabbits. 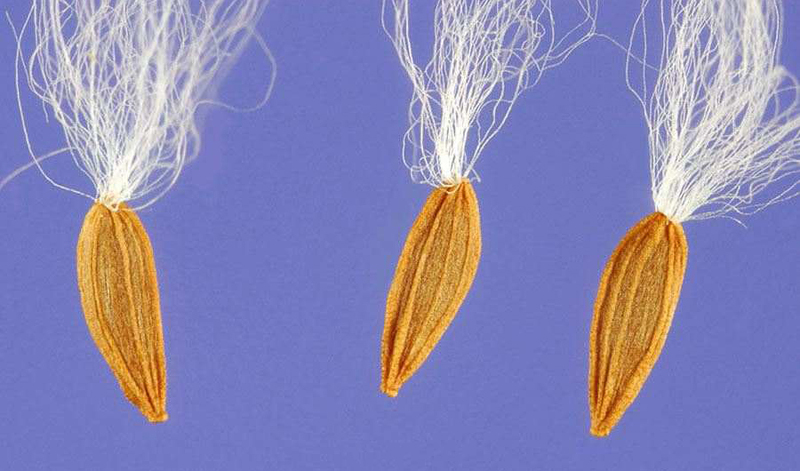 Small or isolated populations may be manually removed while plants are young, prior to seed set. The taproot must be removed, as re-sprouting can occur if left in the soil. Slashing is often ineffective as flowers continue to be produced. Regular cultivation of plants, every three months or so, will stimulate germination and can lead to a reduced seed bank. This will also drain food reserves stored in the roots and cause death. Mulching and soil sterilization methods can complement other management efforts. Grazing by cattle and sheep effectively destroys infestations in pastures, and weakens plants allowing other control methods to be more effectively used. They also make excellent feed for livestock. 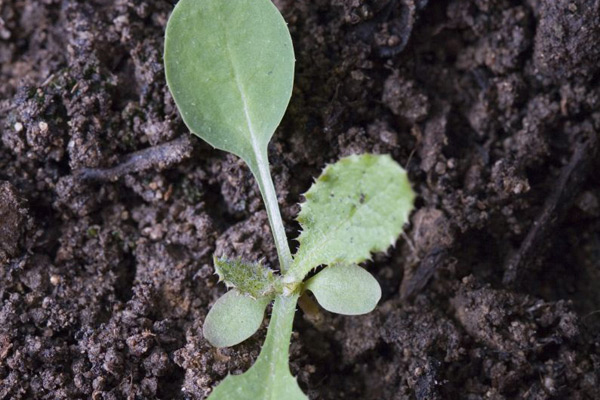 For control of Sonchus asper, a pre-emergent herbicide containing isoxaben can be used, herbicidal soaps when the plants are young, or glyphosate when plants are mature. Zollinger and Parker recommend 2,4-D, clopyralid, dicamba, glyphosate, and picloram for control of Sonchus asper., while Rice 2,4-D, DCPA, diethatyl-ethyl, MCPA, amitrole, atrazine, bromoxynil, chlorsulfuron, dicamba, dichlorprop & 2,4-D, diuron, glyphosate, isoxaben (Snapshot), norflurazon, oryzalin, oxyfluorfen, paraquat, Ornamental Herbicide II, napropamide, simazine and tebuthiuron. Biological agents are currently being researched as a possibility for managing S. asper and other Sonchus species in Australia. 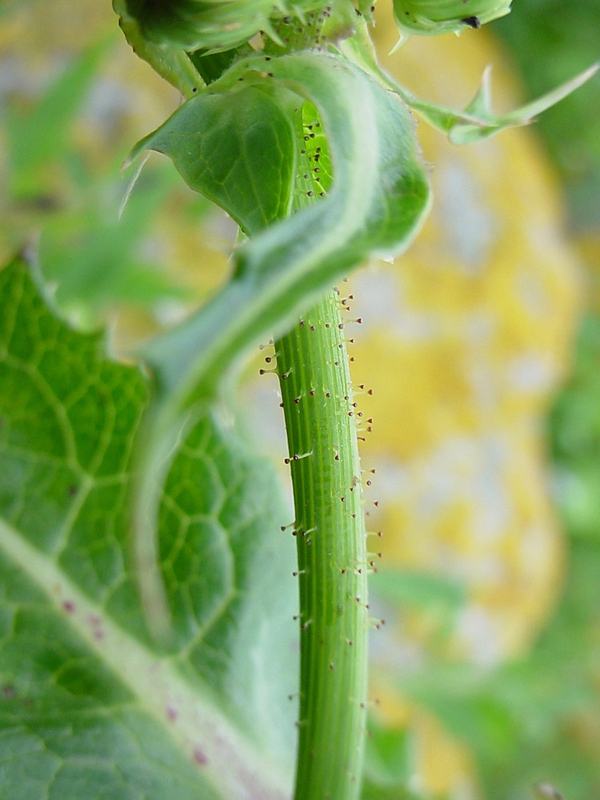 Sonchus species have previously been the target of biological control in Canada. Preliminary reviews for biological control agents have been made in southern France and northern Europe. Currently the rust fungus Miyagia pseudosphaeria and an unidentified eriophyid mite species are two widespread organisms in Australia with potential for control. The CSIRO project will focus on determining the impact of these potential control agents on related native Australian species. Sonchus asper P.Gaertn. & al. Sonchus asper var. laevis (Wallr.) Neilr. Sonchus asper var. pinnatisectus Lojac. Sonchus asper var. rigidus Baumg. Sonchus asper var. setosoglandulosus Hausm. Sonchus asper var. spinosus Neilr. Sonchus asper var. sulphureus Boiss. Sonchus crocifolius hort. ex Sch.Bip. 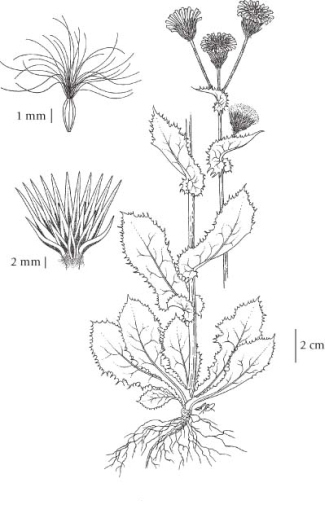 Sonchus fallax var. asper Wallr. Sonchus fallax var. decipiens De Not. Sonchus fallax var. laevis Wallr. Sonchus infestus Poepp. ex DC. 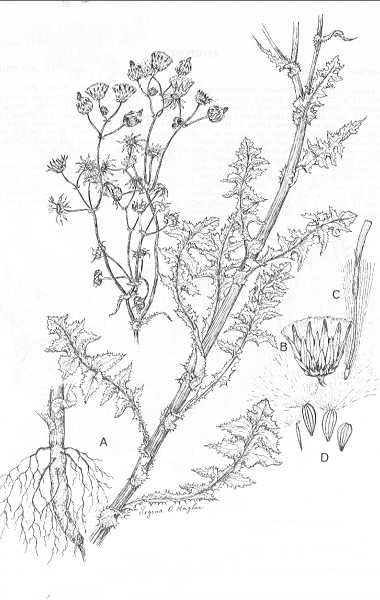 Sonchus umbellatus E.Mey. ex DC. Calories 37 K cal. Calories from Fat 6.12 K cal.